Churches and non profit organizations will likely agree that the Tree of Life fundraiser is a great way to raise money while recognizing those who have donated to your cause. A method for raising money for your organization while providing a lasting tribute to those who are held dear is the Tree of Life fundraiser. The idea is simple and easy to implement. All that is involved with this type of fundraiser is selling leaves in honor or memory of someone that will be placed on a sculpture of a tree that is hung in a prominent location. Most commonly, the trees are mounted on a wall in an entrance or lobby area. Leaves are engraved with names or special messages then hung on the tree. This means of donor recognition acknowledges those who are special to your organization and encourages others to make a lasting tribute as well. There are several things to keep in mind once you have decided on this type of fundraiser. You will need to know how many leaves you will want on the tree. Often this can be done by setting a goal for the fundraiser and determining the number of leaves needed to reach this goal. Some trees can be done with leaving leaves blank until someone purchases them. You will need to decide on the method of announcing your fundraiser. A letter can be sent out to notify people of the project. Enclosed can be a form for them to fill out and send back along with payment. Sell the leaves at $50 and sell 300 you will make $15,000. To break even you will need to sell 32 leaves for the tree. If you sell the leaves at $75 and sell 300 you will make $22, =500 and need to sell only 22 leaves to break even. If you decide to raise the cost of the leaves to $150, you can make $45,000 by selling 300 leaves and only need to sell 11 to break even! This requires an initial investment of $1,600 for the purchase of the tree. Cave Company sells a various trees to be used for fundraising. Consider either the 200-leaf tree or 300-leaf tree for your project. There is a potential to earn a huge profit with very little investment. 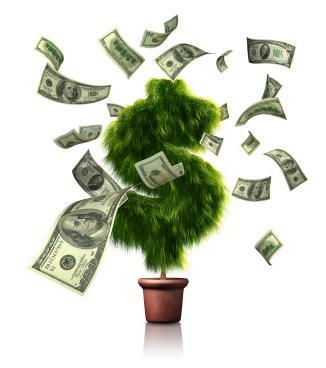 For example, if you choose the 300-leaf tree and sell leaves at $200 you can earn $60,000 for your organization. Raise the price to $500 and earn $150,000! The Tree of Life fundraiser is a great way to permanently honor or memorialize those who have donated to your organization. It also serves as a beautiful piece of art to be enjoyed for years to come. Why not consider this opportunity as your next fundraising project?